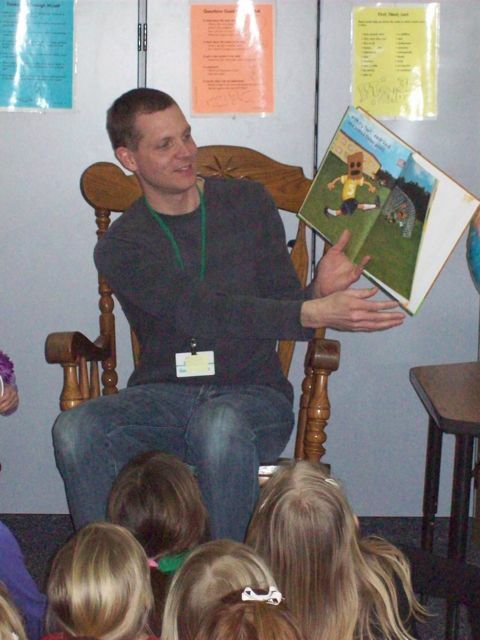 In April 2011, many second graders at a local elementary school participated in the Jarrett Krosoczka Reading Experience - a really fancy name for an author study. But, I would like to think this isn't your ordinary author study. 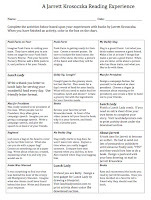 The reading experience was designed to allow students to read many books by Jarrett Krosoczka and engage them in up to FIFTEEN higher level thinking activities based on Bloom's Taxonomy. 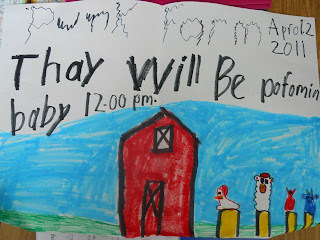 The activities range from creating a punk song based on a nursery rhyme (after reading Punk Farm) to writing a letter to your lunch lady thanking her for all her hard work (after reading Lunch Lady). There is even an option to send Jarrett a postcard, to replicate how he sent postcards to reach publishers. I thought about saving this post to celebrate Jarrett Krosoczka's birthday in December...but this Reading Experience would be an excellent way to engage Jarrett Krosoczka fans over the summer! The JKRE (this acronym almost didn't work) is already complete and available for download right now for FREE! All you need to do is to print it out and pick up the books at the library. The printable packet includes an activity page and all the necessary activity sheets. Click on image to download the activity packet. I was a guest reader in three classrooms during the week long JKRE. 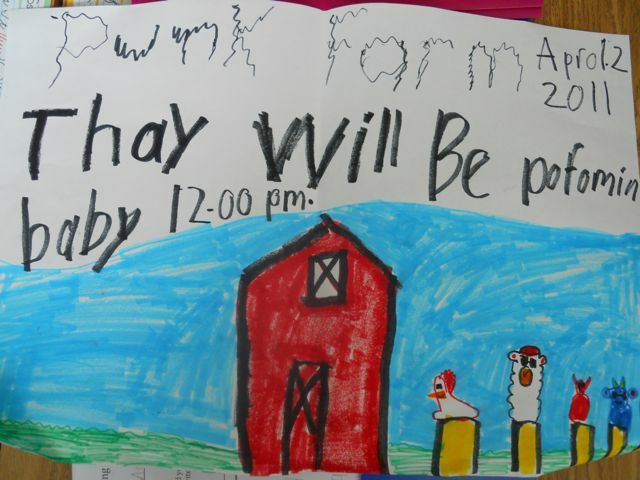 A Punk Farm Concert Poster. - The students were racing to get the Lunch Lady books in the morning. 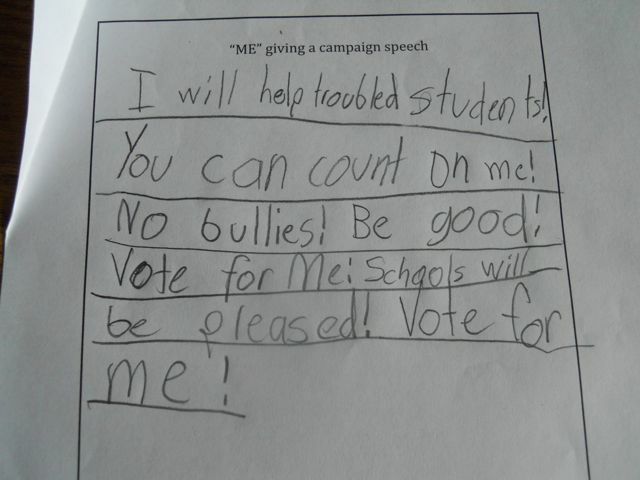 - Many students were choosing to take books out to recess. - Two months later, at the end of the year, students were still checking out Lunch Lady books from the school library, and the librarian ordered more graphic novels based on their love of this series. - The JKRE was developed for second grade students but it was spotted in first grade classroom once they heard about how much fun students were having. 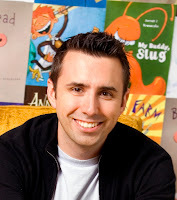 Thank you Jarrett Krosoczka for creating books that kids love to read! Also, thank you to the very special teachers at our local school who took this idea and put it into action in their classrooms. Jarrett J. Krosoczka used to be a goofy kid that liked to draw. Now, he is an award winning published author/illustrator with many books to his credit. Growing up in Worcester, MA Jarrett drew relentlessly and always had a cast of characters that he wrote his stories for. In 9th grade, Jarrett won a contest with The Worcester Telegram and Gazette and for the first time - saw his work in print. This sparked a fire within. He went on to graduate from the Rhode Island School of Design, after being initially rejected. It was in his senior year that he received his first illustration job for a national educational publisher. Then, six months after graduating RISD, Jarrett carried his portfolio into New York City and landed a contract for his first book. He immediately ran to a pay phone to share the good news with his grandparents. Good Night, Monkey Boy was published on June 12, 2001 and Jarrett has since been busy producing more picture books - including Baghead; Bubble Bath Pirates; Annie Was Warned; Max for President; Punk Farm; Giddy Up Cowgirl; My Buddy Slug and Punk Farm on Tour. With the publication of Lunch Lady and the Cyborg Substitute and Lunch Lady and the League of Librarians in July of 2009, Jarrett has embarked on the new journey in his career - that as a graphic novelist. Jarrett has been chosen by Print as one of their 20 top new visual artists under 30 and has had his work short listed by Newsweek, USA Today, The Boston Globe, and The New York Times, among others. His books have landed on numerous recommendations lists, including the Texas 2X2 list and the IRA/CBC Children's Choice Awards. Jarrett's Punk Farm and Lunch Lady Series are both currently in development as feature films. I love the idea of the "expeience"! (Sounds much more exciting than "author study".) Looooove it. 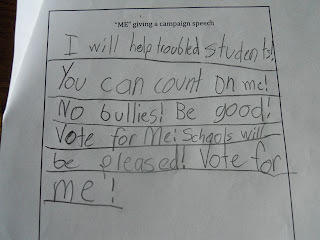 And I like giving kids a chance to be creative and choose how they respond to books. Jarrett is a ton of fun. Thanksfor sharing! Wow that sounds like it was a lot of fun! Thanks for including the activity packet. There are some really good ideas in there. Thanks for the positive comments! Please share with everyone you know!